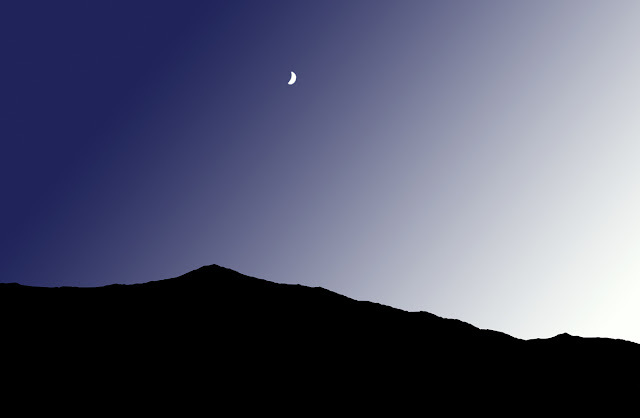 These are simple desktop wall papers, just a clean dark sky with a hill in the foreground and the sky. Suitable for laptops. 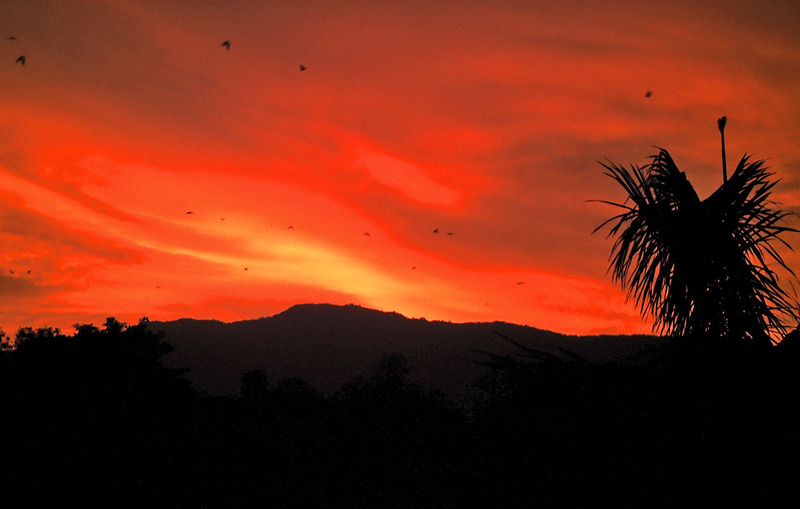 A dark red sky with a glowing setting sun and the hills and trees silhouetted against the red and yellow sky. A rainbow type dark violet and blue sky with a half moon and a dark hill in the background. 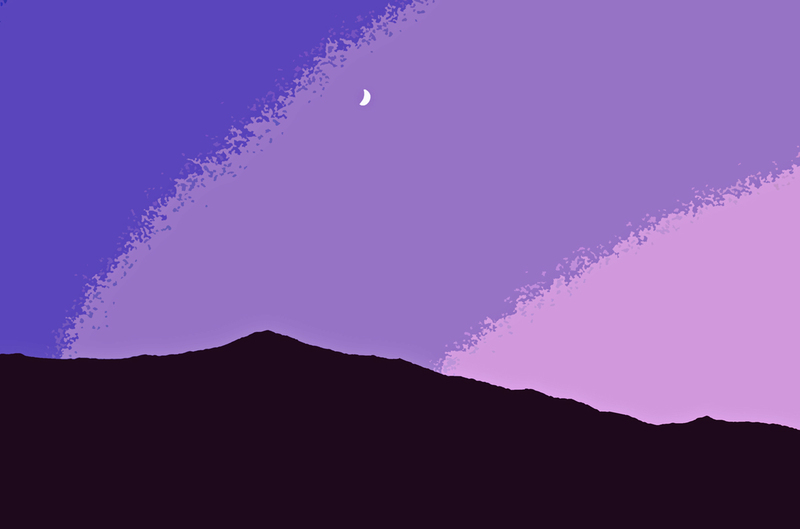 A lighter version of the same image. A dark blue sky fading into white and a half-moon hanging in there. A dark hill silhouette against the sky. 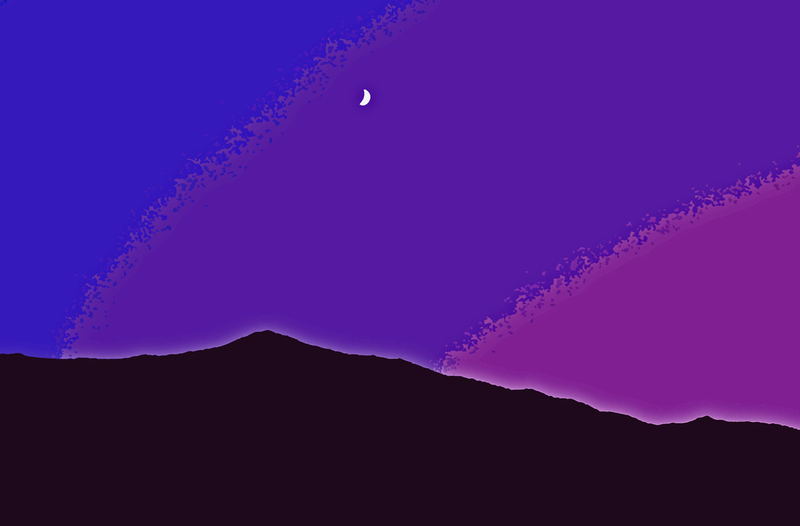 A simpler verson of the violet sky with the half-moon. Or check out all the photos filed under the label "Wallpapers" where you will find pictures of scenes and flowers.